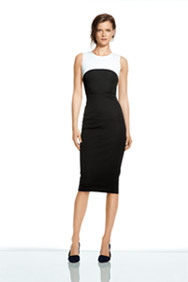 Roland Mouret Hits Banana Republic 8/7! Banana Republic keeps pulling out great designer collaborations and their next one with Roland Mouret, is hitting stores on August 7th. I love designer collaborations and most major designers are jumping on the bandwagon. It makes sense for all involved. The retailer gets an association with a big name designer and the designer gets introduced to other markets. It’s a win-win for both. Roland Mouret was born in Paris in 1962 and had no more training than a 3 month stint at a Parisian fashion college in 1979. Somehow, despite his lack of formal training, he seemed to understand the way a dress in particular, should fit a woman’s body. He partnered with the Meyers (Sharai and Andre’) who bought his namesake line in 1998. Mouret introduced his Galaxy dress in his 2006 collection and it was an immediate success sending ripples through the fashion world. Vogue Magazine said ”for weeks you [couldn't] open a newspaper or magazine without seeing another young Hollywood A-lister wearing it”. Less than 2 months later, he split with his backers, the Meyerses and neither side ever elaborated on the break up. Mouret took a 2 year break and launched RM by Roland Mouret and eventually bought back the rights to the Roland Mouret name in September 2010. He opened his first retail store in London in 2011. As readers may recall, I had quite an adventure acquiring a certain Marimekko skirt when BR launched their collaboration with the Swedish fabric line. I am a little wiser and a lot smarter now, so I have my list of must-haves from the Roland Mouret collection, and I am sure, a story to share. Stay tuned. PS- BR cardholders get a chance to buy a day early online. Go sign up for a credit card, NOW! 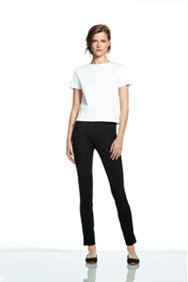 This entry was posted on Monday, August 4th, 2014 at 7:00 pm	and is filed under Events & Happenings, Seasonal Trends, Shopping, Stores, Uncategorized, Womens dressing. You can follow any responses to this entry through the RSS 2.0 feed. You can leave a response, or trackback from your own site. I can’t wait to see what the collection looks like! Thanks for sharing! Me too Amy. 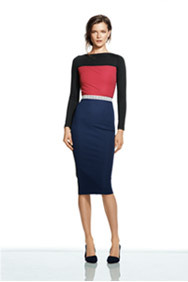 The Colorblock Sheath dress is already sold out online, so we’ll see what happens!